A "How to Guide" for acquiring your 2019 memberships. When I first started in dressage in 2010, I assumed that each state had its own dressage society. In my little world, it just made sense that there was one national dressage body and a neat little group of 50 state societies. Nope. That's not how it works. Thanks to a friend, I was forced to do a little research and now know how the United States Dressage Federations (USDF) recognizes local affiliates. Another rider also chimed in and reported that some of the GMOs (more about that down below) do more than just dressage, like eventing for example. If you belong to a dressage club that does more than dressage, please share! Let's start with US Equestrian (formerly the United States Equestrian Federation). US Equestrian, started in 1917, is the national governing body for all equestrian sports here in the USA. US Equestrian trains, selects, and funds our United States Equestrian Team and also licenses equestrian competitions of all levels across the United States each year. But what does US Equestrian have to do with showing dressage? Competitors who wish to make it into the elite ranks must abide by all of US Equestrian's rules. That means that if you hope to ride in the WEG or the Olympics, you have to participate in events that are recognized by US Equestrian. Even if you don't plan on making any of these elite teams, others hope to, so even at the most beginner level shows, US Equestrian's rules and expectations can be felt. If you want to show beyond simple schooling shows, you'll need to join United States Equestrian for $80.00 annually. US Equestrian membership is required for nationally rated dressage shows (USDF/USE). Non-members may show, but they will incur non-member fees. When you join US Equestrian, (found here), you will be asked if you are an Adult Amateur or Open rider. Once you select Open, you cannot easily return to amateur status. Senior Adult Amateur status does not cost anything extra, but it does allow you to show as an amateur. If you are not a US Equestrian recognized Adult Amateur, you will be required to compete in Open classes (the professionals of our sport). If you plan to show at nationally rated shows, your horse will need a US Equestrian identification number of which there are three options. First, if you would like your horse to be eligible for US Equestrian year-end awards, he will need a Lifetime ID which will cost $200.00 (one-time fee). Second, you can opt for an Annual Recording Number for $75.00. Finally, a Horse ID number, with no eligibility for awards, is free. To get a Horse Recording Application/ID, simply log in to your US Equestrian account, scroll down to "Horse Options," select Horse Recording Application/ID, and follow the on-line instructions. So on to the USDF - United States Dressage Federation, the only US national dressage membership organization. USDF's website states, Dedicated to education, the recognition of achievement and promotion of dressage, USDF is [an] organization with more than 30 different educational programs, 173 affiliate local or regional clubs, and more than 2000 annual awards for excellence in competition. The national levels, Training Level through Fourth Level, are governed by the United States Equestrian Federation. The international levels are governed by the Federation Equestre Internationale (FEI). USDF has approximately 173 local affiliates. These affiliate clubs are called Group Member Organizations (GMOs). By joining your local GMO, you automatically become a Group Member of USDF. Find your nearest GMO here. There are four different types of membership in USDF: Participating, Group, Education, and Business. Since each membership is slightly different, USDF recommends that you read about each membership carefully before joining. A Participating Membership (PM) is for those riders who wish to qualify for, and compete in, USDF Regional Championships and earn year-end awards from USDF. PM can also participate in the Rider Award Program which includes Rider Performance Awards (Training, First, and Second Levels), Bronze Medal Rider Awards, Silver Medal Rider Awards, Gold Medal Rider Awards, Masters Challenge Award (age 60 and over), and Musical Freestyle Rider Awards. Riders interested in year-end awards such as Horse of the Year, Adult Amateur, and USDF All Breeds must become a PM at $75 per year, $300 for five years, or $1500 for a lifetime membership. Group Membership (GM) in USDF allows riders to compete at USDF shows and makes riders eligible for participation in the USDF Rider Award Program (see above). With a GM, riders are not eligible to compete at the USDF Regional Championship, nor are their horses eligible for year-end awards. You will automatically receive a GM when you join your local GMO. USDF also has an Education Membership. This option is for people who do not wish to show, but who do want to stay connected to the dressage community. The USDF Education Membership is for 12 months from date of the application and costs $35.00. You can find out more by clicking this link. If you plan to show at USDF/USE shows, your horse will also need a USDF Lifetime Horse Registration (LHR) or Horse Identification Number (HID). If you would like your horse to be eligible for year-end awards, the LHR will cost $95.00 (one-time fee). To just receive an HID, with no eligibility for awards, there is a one-time cost of $25.00. To upgrade an HID to an LHR, there is an upgrade fee of $70.00. Join the California Dressage Society (which is a GMO of USDF) for $70.00 annually. If you plan to qualify for Regional Adult Amateur Competition (RAAC), there is an additional $25.00 annual fee. CDS membership allows you to show at CDS-only recognized dressage shows. Non-members may show, but they will incur additional non-member fees. CDS Membership includes Group Membership in USDF, which is needed for USDF/USE rated dressage shows, as well as the opportunity to participate in the Adult Amateur Clinic and RAAC. Members also earn "plates," called rosettes, which can be added to a plaque available from CDS. To join CDS, or for more information, click this link. USE is the umbrella over all US equestrian sports. 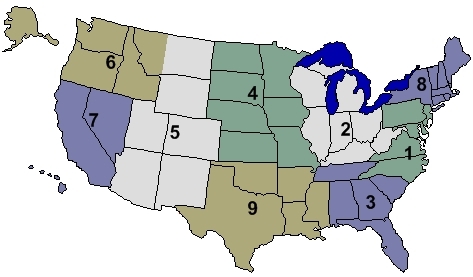 USDF falls under that umbrella with its ten regions: numbers 1 - 9 are national, and the 10th is international. Since I live in California, I belong to region 7. My GMO is the California Dressage Society (CDS). There are are least four types of dressage shows in California. The first are simple schooling shows. Any type of judge may be used, even "L Graduates" from the USDF Education Program (not yet US Equestrian licensed judges). Schooling shows can be quite formal and generally look and feel like a rated show. The exception is that riders can wear polos, times may run a bit wonky, and the general atmosphere is usually more relaxed. Many CDS chapters even put on non-rated series of schooling shows that have year-end awards and prizes. The next level of show in California is a CDS-rated show (a USDF GMO). One-star shows, as they are called here, follow all USEF rules, but scores are only used for CDS awards, the CDS Championship, or the Regional Adult Amateur Competition. One-star shows will have a licensed USEF judge, although they are sometimes the lower level judges. The third type of show in California is referred to as a three-star event, recognized by CDS (or DASC which is the Southern California Dressage Association - another GMO of USDF), USDF, and US Equestrian. These shows usually have higher level judges and will often times attract more accomplished riders. Scores are used for national level awards as well as GMO awards. The final type of show seen in California are the CDI shows: Concours Dressage International, a dressage competition recognized by the FEI. CDI-W have World Cup qualifying or World Cup classes, while CDI-O have Olympic qualifying or Olympic classes. The time to renew memberships for US Equestrian, USDF, and CDS is November and December. Now you know which memberships you're going to need for this show season. Best of luck!